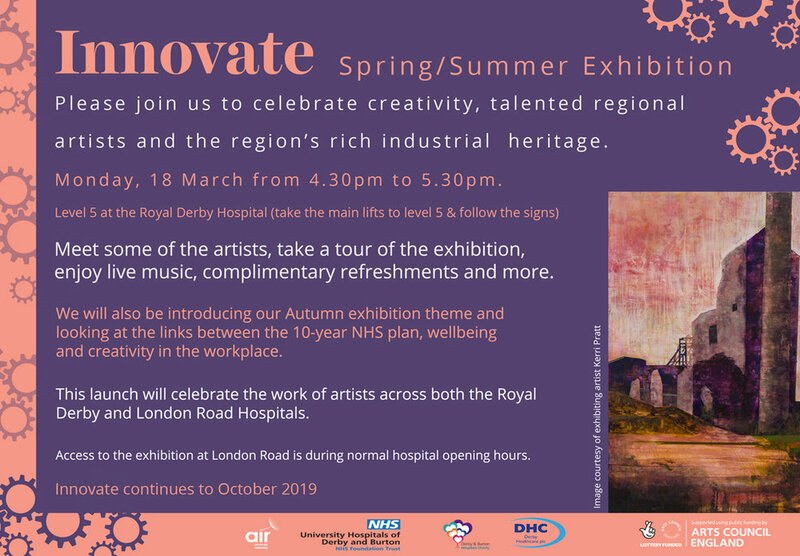 Air Arts in the Gallery, Level 3, Main Entrance, Royal Derby Hospital, Derby Healthcare plc, Uttoxeter Road, Derby DE22 3NE. Turning thousands of clothing labels into works of art, reflecting on historic garment manufacturers such as Meridian Ltd 1885. Exhibition running from March to October 2019. Launch event Monday 18th March 4.30 to 5:30pm at the Royal.